As society and the workplace become increasingly automated and digitised, schools are hard at work to equip children with the necessary skills to thrive when they leave school as adults. In a call to action for principals, various reports have called for a stronger focus on digital and ICT literacy skills as well as an effort to improve basic skills across STEM fields. One organisation that has been helping schools do this is multinational computer corporation, Dell, which has a long history working with educators to ensure that technology inspires and motivates – rather than distracts – learning. 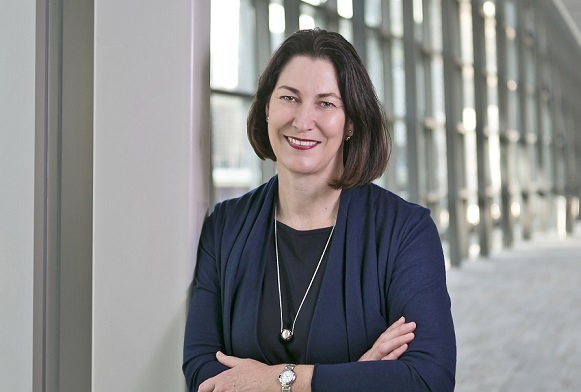 Below, The Educator speaks to Angela Fox, leader of commercial and public sector at Dell EMC ANZ, to find out more. TE: How would you summarise Dell’s mission when it comes to its presence in Australian K-12 education? Dell’s overarching mission is to create technologies that drive human progress – and that rings true in the education sector. Whether it’s enabling mobile learning in the classroom with our durable Dell Education notebook series, using VR/AR to share new experiences with children, teaching them the skills of the future or automating IT infrastructure to ensure schools focus their resources on using technology to enhance learning, Dell Technologies is dedicated to creating a better educational future. Dell Technologies’ recent study, Realizing 2030, shows us that technology will continue to become more ingrained in our day-to-day life over the next 12 years. Children in school today will be the first generation of digitally augmented workforce, natives of the Fourth Industrial Revolution. This profound change is starting in the classroom today. It’s inspiring to see what today’s students are already achieving when they are given the right tools. TE: I understand that Dell’s school solutions offer “a blended classroom model”. Can you tell us more about this, and how school principals can leverage this model to improve teaching and learning? A blended classroom allows teachers to provide a unique curriculum to more students by offering advanced lessons via an online portal and promoting independent study, while being able to provide one-on-one attention to those who need it. Having laptops in the classroom is essential to creating a blended classroom. We understand that these devices need to withstand more than the average laptop. The Dell Mobility Education range has a robust display, kid-proof cables and ports and is back-pack tested to ensure the device can handle the everyday bumps. To complement these devices, we have charging carts to store the laptops, projectors and conference monitors that together support the classrooms of the future. School principals should encourage all their staff to understand the importance of using technology as a teaching aid, to continue to learn about the new technologies as they become available and to include these as a compulsory part of the school’s curriculum. TE: One of the greatest challenges for school principals is managing large workloads. In what ways is Dell helping school leaders streamline administrative processes and simplify their day-to-day responsibilities? Managing the administration around each student has never been easier for school leaders. Using data analytics, teachers can track each student’s progress by pulling data from a variety of sources, or can even use artificial intelligence to grade tests. Combining all the information in one place makes it easy to spot if a student is failing or falling behind and needs extra help or when they are excelling and require additional challenges. When dealing with confidential student data, security is a big concern for schools. Dell’s Security Solutions provide principals, and parents, with the peace of mind that all the information gathered day in and day out, is protected from hackers or data breaches.